Like almost all writers of fiction in the first half of the twentieth century (especially American ones), F. Scott Fitzgerald filled his time between novels with short stories, often publishing at least a handful each year. Early 20C USA was, in many ways, the golden era of the short story, with many magazines publishing them to a wide audience (radio & then tv, of course, would chip away at that before long). And current wisdom holds that nobody reads short stories anymore ('why bother learning new characters every 20 pages?' being the common complaint), although personally I love a good short story as much as I love a good novel - which is to say, a whole damn lot. This collection contains most - but, frustratingly, not all - of Fitzgerald's short stories, published over a twenty-year span. And while Fitzgerald is probably best known for The Great Gatsby & Tender is the Night, several of his short works also rank amongst the best-known short stories in the English language. The early stories (this collection is more or less chronological) are rightfully remembered as classics of their era: his second book of stories is even called Tales From the Jazz Age. Most of these stories have young protagonists seeking to find their place in the world, and while in some ways they seem like period pieces, many of the themes here are timeless (social climbers, friendship, unsatisfying marriages). The last two in the section are amongst the most famous: 'The Curious Case of Benjamin Button' (which bears almost no resemblance to the movie, other than the central conceit of a baby being born as an old man and getting younger through time) and 'The Diamond as Big as the Ritz', a fantastic (in both senses) story of fabulous wealth. The middle section (stories from the mid-1920s to the mid-'30s) shows both writer and characters maturing. Most of the characters are now young parents, and a sense of regret or disappointment with life does pervade many of the stories. During this period - when he also published his two most-famous novels - was Fitzgerald's peak as an author, and even more so than elsewhere in this book, the prose shines here. 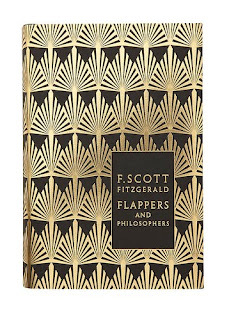 Flappers and Philosophers concludes with a selection of Fitzgerald's later stories, including the Pat Hobby cycle (18 stories, just over 100 pages). Hobby is a perennially-49-year-old screenwriter in Hollywood, whose glory years were a long time ago and never that glorious anyway. Each story covers a new chance for him, although it usually just ends up being a fresh chance for him to embarrass himself. Living on short contracts (three weeks is about the standard), Hobby combines desperation with an almost astonishing lack of motivation or capacity for actual ideas or work. 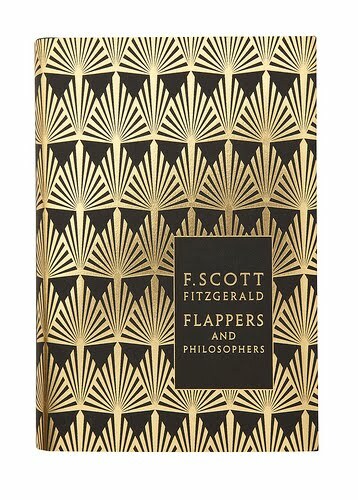 At nearly 650 pages, and containing 45 stories, Flappers and Philosophers is a pretty immense collection (the two longest stories are in the 40-50pp range). For that reason, it might not be an ideal introduction to Fitzgerald, yet if you can get past that, the stories contained within are, almost without exception, wonderful. Aside from his ever-enjoyable writing, Fitzgerald demonstrates why short stories can be as, or even more, satisfying than novels: fully realised characters, subtly played-out themes, and the ready ability to mix a variety of moods, styles and ideas across a book. Next on my ongoing trip through Fitzgerald's works: I return to 'The Great American Novel', The Great Gatsby.